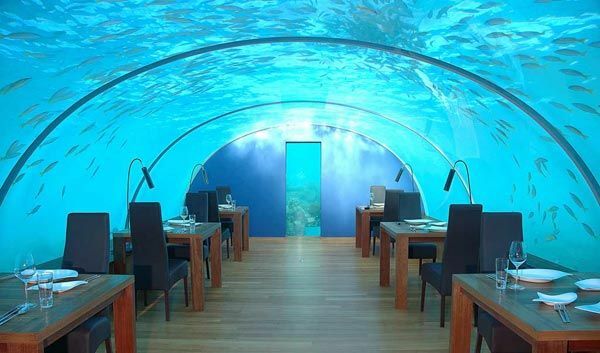 The world’s first ever undersea restaurant called Ithaa ( which translate as “pearl” in the natives’ language in Maldives, Dhivehi ) brought to you by Hilton Maldives Resort & Spa. 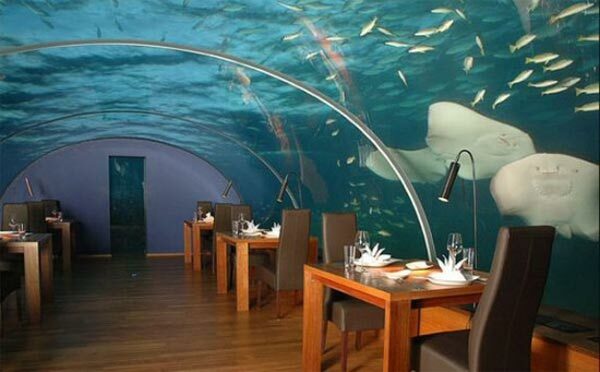 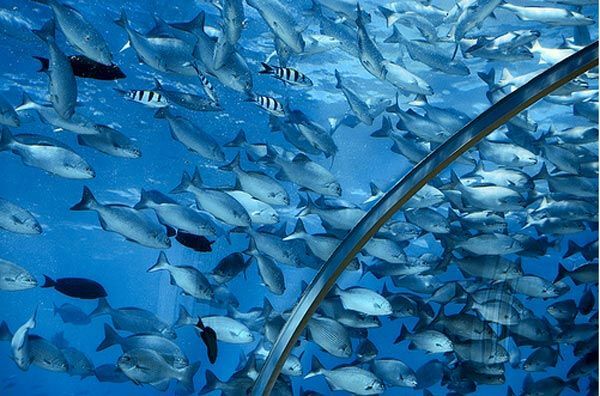 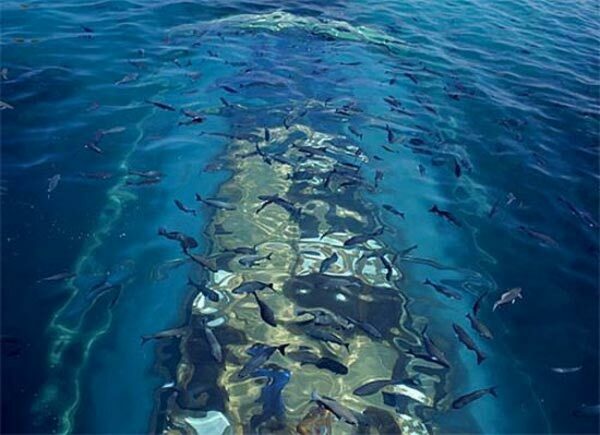 This undersea restaurant cost less than $5 million and is part of a project to rebuilt the Rangalifinolhu Island into a tourist attraction. 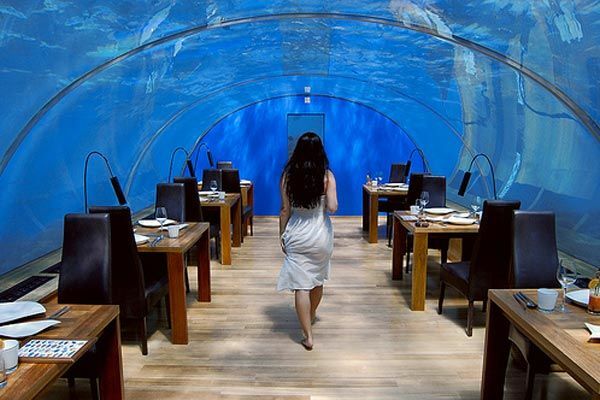 The restaurant sits 5 meters below the sea and is surrounded by vibrant coral reef offering a 270 degrees of panoramic underwater views. 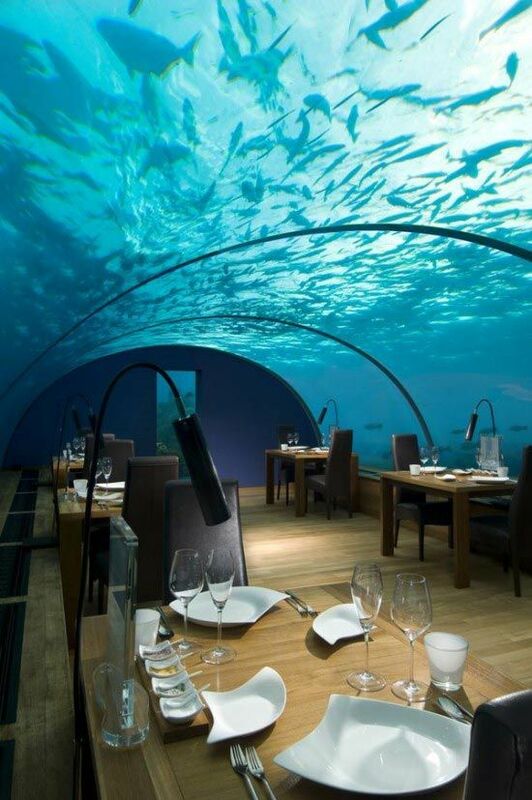 This 5 x 9 meter restaurant has a capacity of 14 people and was designed and constructed by M.J. Murphy Ltd which is a design consultancy based in New Zealand. 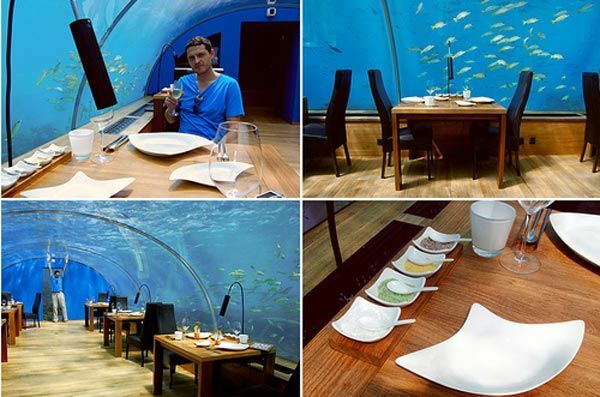 The meals of this restaurant range in cost from USD$120 to USD$250.